One of the most overused statements overheard at the Classic Motor Show has been revealed as this year's show theme. 'She's a Beauty' will provide the inspiration for the TR Register's club display when the season finale returns to Birmingham's NEC from 13th to 15th November. The theme will run alongside the anniversary celebrations for the TR3, TR4A and TR7 this year. We will be honoring those ladies that challenged the men when it came to Triumph motorsport and most importantly we are looking to showcase the women involved in the TR Register club scene – both past and present. Event Director Dan Nwaokolo explains: "The classic motoring scene is no longer a man's world. 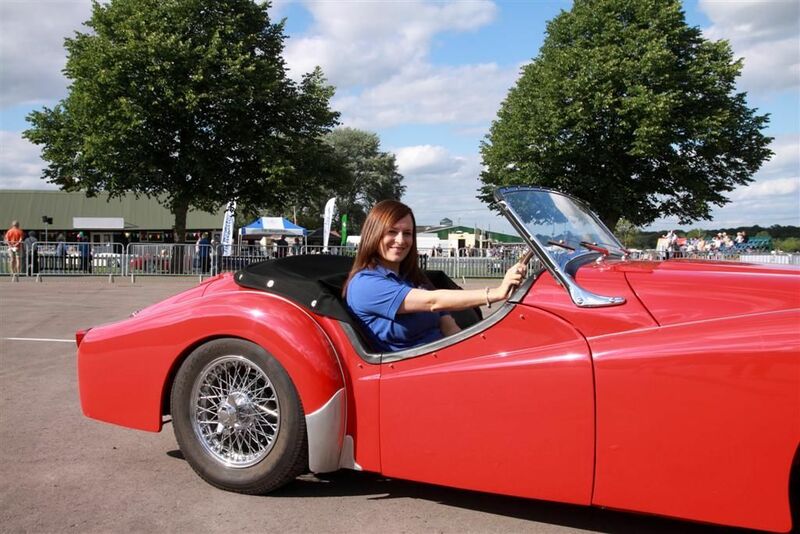 Each year we have more and more women who are on club committees organising stand displays, young ladies enrolled on classic restoration apprenticeships, and female classic collectors joining us at the show. "We will celebrate all the women involved in the classic community over the years as well as looking at why owners treat their vehicles with the same passion as they do their spouses. Most owners even give their cars female names! We will explore how a man's passion for his classic is only dwarfed by the passion he has for the other love of his life. "From the women who are passionate enthusiasts to those who unknowingly inspired the designs we love, we acknowledge them all." The TR Register will be present at the show this year with two displays, the main stand featuring anniversary cars to celebrate 60 years of TR3, 50 years of TR4A and 40 years of TR7 to round up a whole year of celebrations. The second display will be run by the clubs Youth Group who will be showing a selection of their members cars within the new 'Young Owners' area to be featured at this years show. TR Register's Press Officer , Wayne Scott says: "The NEC Classic Motor Show is an important part of the TR calendar and we are keen to be involved with the "She's a Beauty" theme alongside our own anniversaries. We would very much like to hear from all our TRing ladies on how they would like to be involved in these celebrations, all ideas will be considered." There are special club member discounts available for TR Register members. Find them listed in the members feed area of this website or on the rear page of TR Action Magazine. Header photo courtesy of Kevin Warrington.